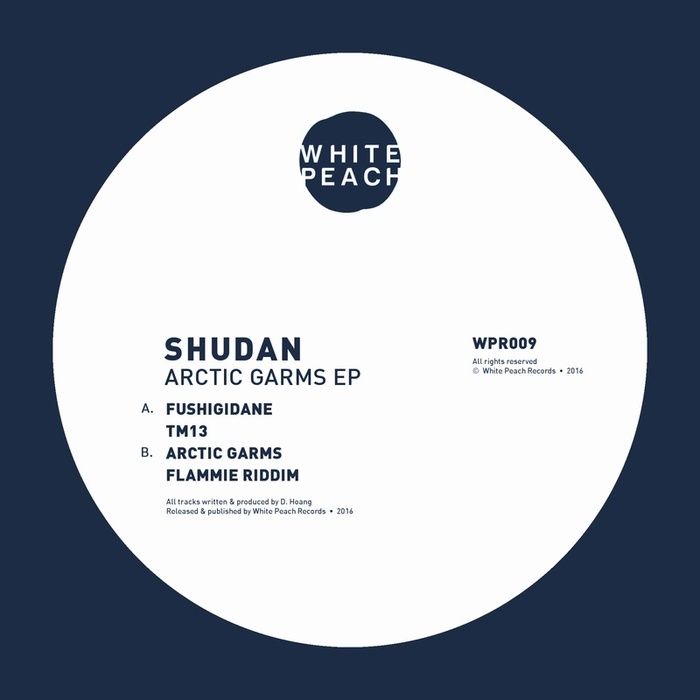 London beatcrafter Shudan returns to White Peach after making his debut on their anniversary release last September. Now armed with his first full-flavoured EP we get a real taste of his styles: from the wavy airs and graces of "Fushigidane" we're suddenly hurled into a stark, dark world of razor riddims, bashy beats and a really cool sweary samples. From the straight-up bubble brutality of "Arctic Garms" to the D&B inspired bass ripples of "TM13", Shudan makes his mean and masterful message clear.